I love festivals. The sweets (which I can't have because of my acne prone skin), the new dresses , the dressing up (which I never fail to do) and the meeting of people. All this right up my street. Throw in some good movies on the Tamizh channels and I am in heaven. 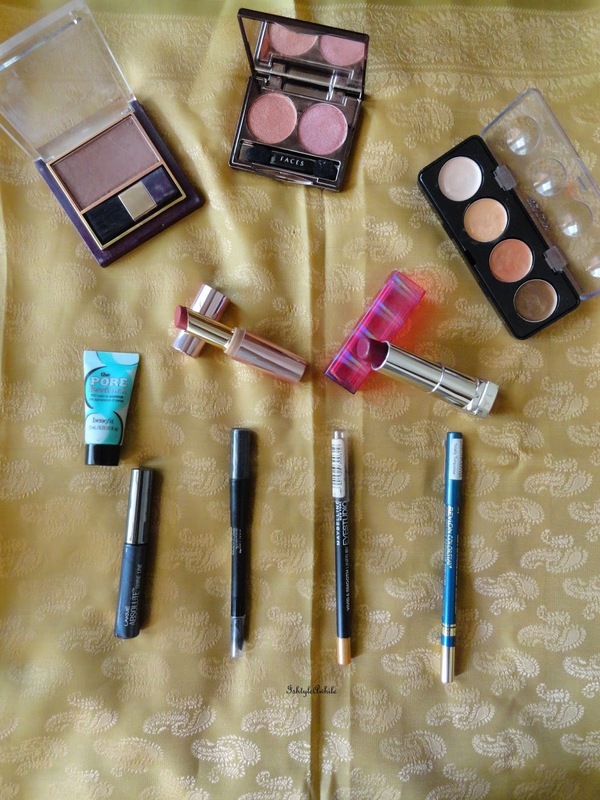 Today's post is the makeup that I think is essential for the festival season. Now everything listed in today's post isn't all budget makeup and so I have a post coming up very soon that is just budget buys. Stay tuned for that. 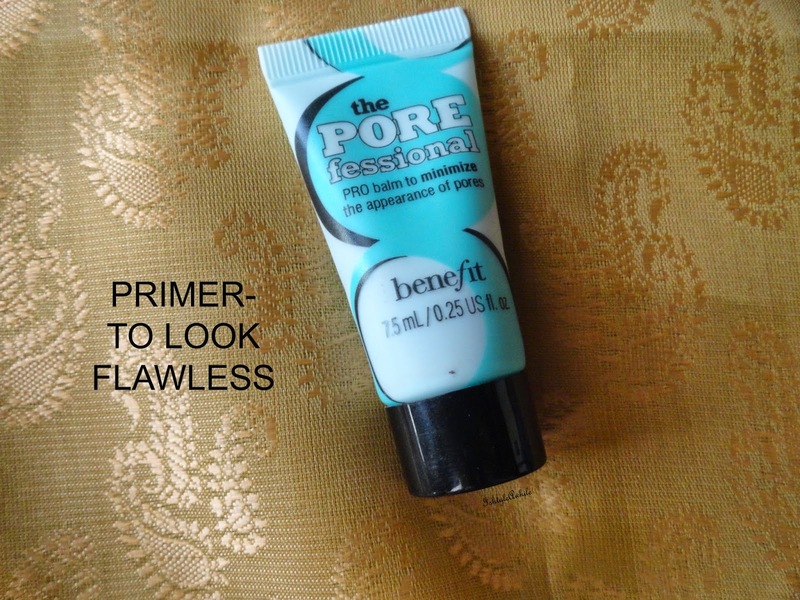 Primer- I cannot stress on the importance of this enough. I mean Primers are not inexpensive at all, I know, but it really makes your makeup glide on, the foundation stays on longer and for oily skinned girls you can look matte for a longer time. In that way they are definitely an investment. My choice- is the Oh-so raved about Benefit Porefessional. I will be raving about this soon enough. 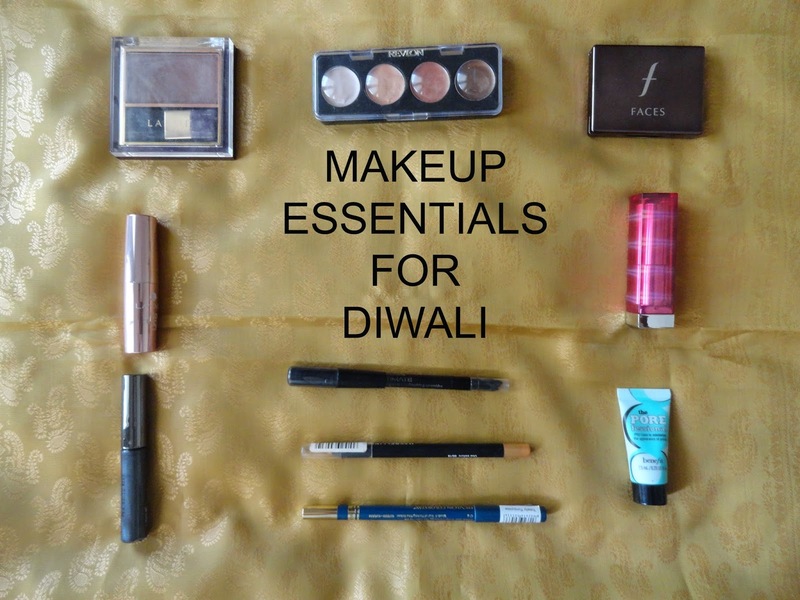 Kajal- For me this is a staple for any Indian look. I love wearing kajal from the days that I have used shringar in that small box and have had to dip my fingers in it and line my eyes. 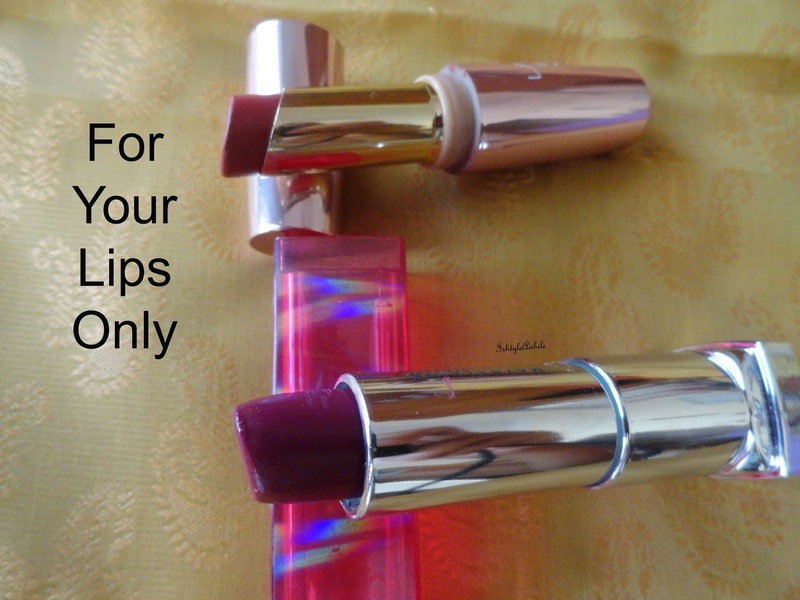 My Choice- Lakme Absolute Kohl Ultimate. 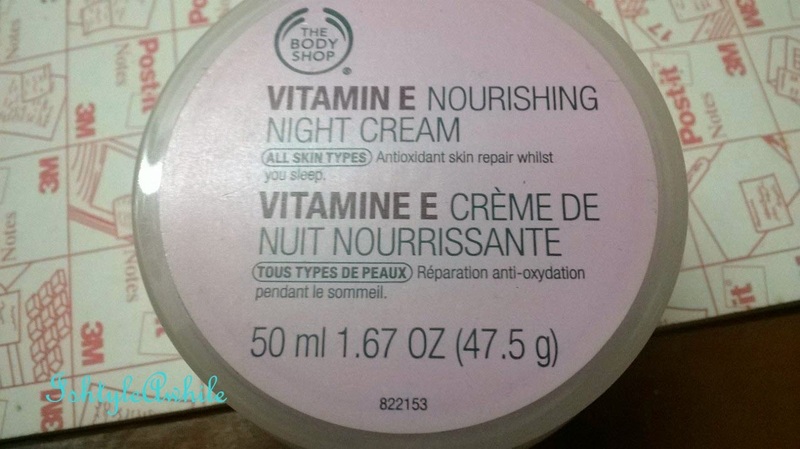 Love love this for every day use. Coloured Eyeliner- For those of you who have no patience with eyeshadows and the blending or if just don't have the time, coloured eyeliners can really add a pop to the entire look. They come in many forms, liquid, pencil, kohl. 1) Lakme ShineLine in Smoky Grey for that winged eyeliner that isn't black. 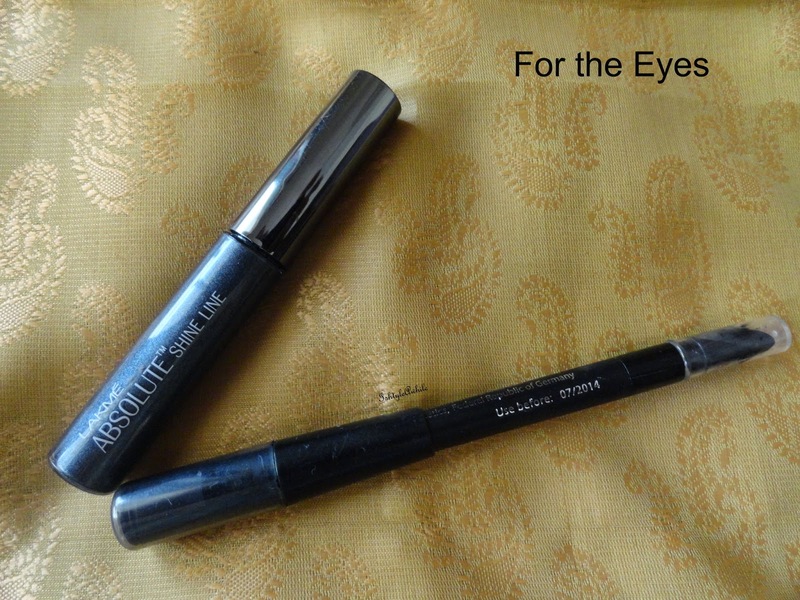 2) Maybelline Vivid and Smooth eye liner in Gold- for the touch of highlight. 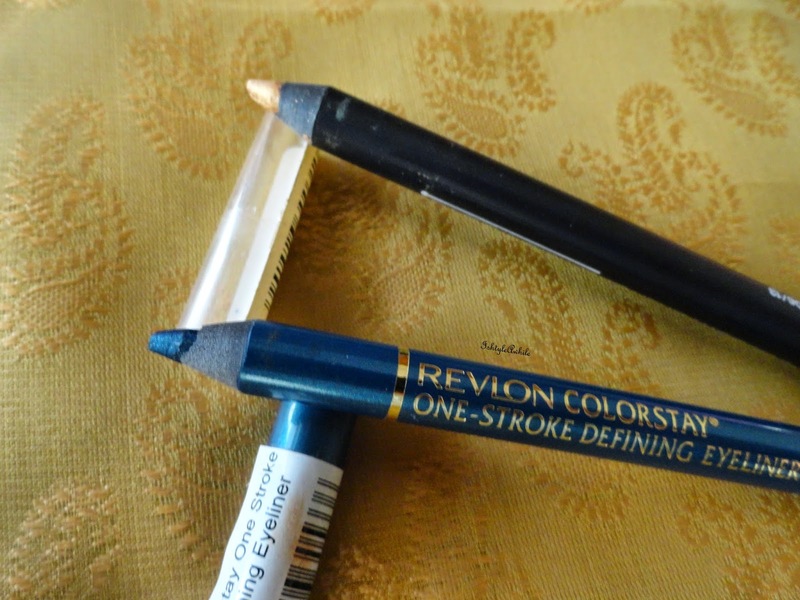 3) Revlon Colorstay One Stroke Defining Eyeliner- A rich creamy eyeliner for those outfits that need something more. Eyeshadows- So I know eyeshadow isn't everyone's cup of tea but for those of you who are ready to try I say stick to simple neutral colours or metallic shades. Or if you are the type who loves colour I've got a duo option for you. 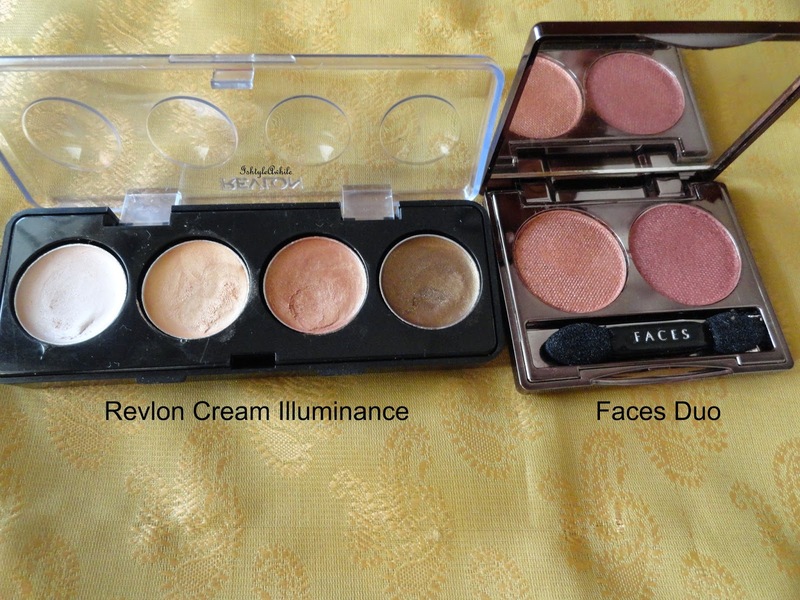 1) Revlon Illuminance Creme Shadow- Cream eye shadows are the simplest to use. Swipe and go. This palette has 4 metallic shades in the neutral range. 2) Faces Glam on Eye Shadow Duo in Amber- with a copper orange and a pink shade. These are two colours that can go with a lot of outfits. 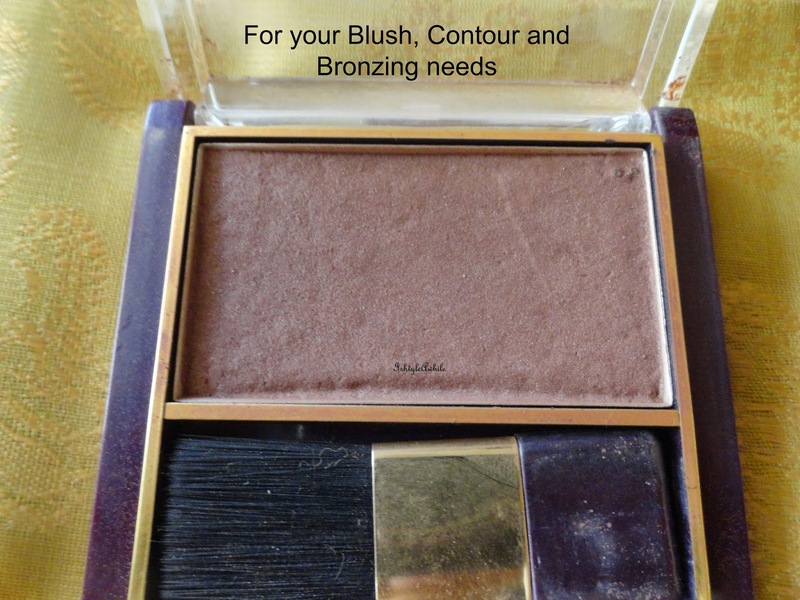 Blush- To add that glow to your skin choose a blush that has some highlighter effect in it. Lipstick- No look is complete without makeup. I am all for the bold lip for the festival season. It is so much more easier to just swipe on a bold colour and look glam in a matter of minutes than sit and mess around with multiple products for the eye. 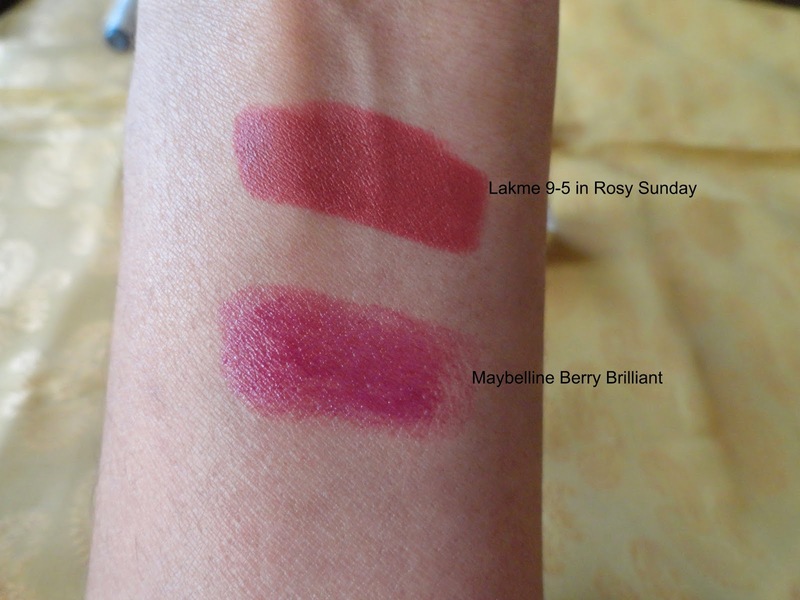 1) Maybelline The Jewels lipstick in Berry Brilliant- Fuschia is a gorgeous colour to go with Indian skintones.